Oppo's upcoming Reno series is rumored to have as many as six variants at varying price points. 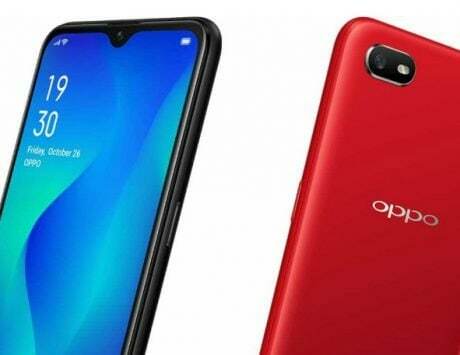 Two devices alleged to be variants of the upcoming Oppo Reno have been spotted on Bluetooth SIG. 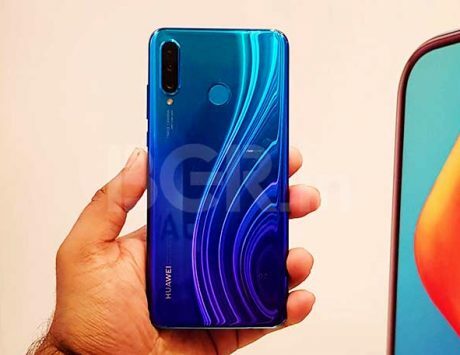 The handsets have model numbers CPH1921 and CPH1919 and one of them features 5G connectivity while the other is a non-5G version. 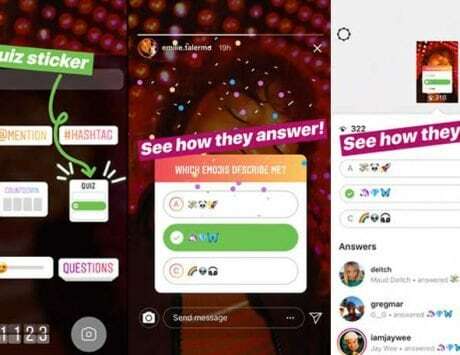 There’s little new info except for the bands and the ColorOS version which is 6.0. Also, the Oppo CPH1919 possesses a 6.65-inch that produces full HD+ resolution. Another similar model – CH1917 was certified by IMDA recently, and it featured a Snapdragon 710 SoC. It also had dual cameras (48 megapixel + 5 megapixel) cameras and a 16 megapixel sensors. A Snapdragon 855 SoC model has also been confirmed previously and now the 5G variant is also almost certain. 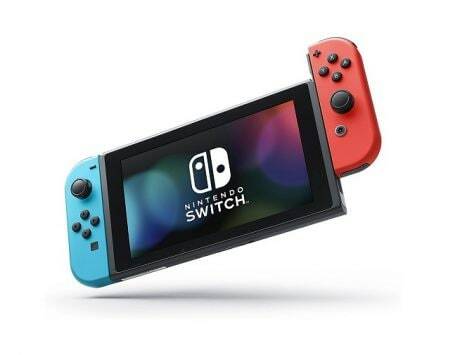 A Lamborghini Edition with 12GB of RAM and 512GB of storage, as well as 10x lossless zoom and 50W fast charge is also being rumored thus far. 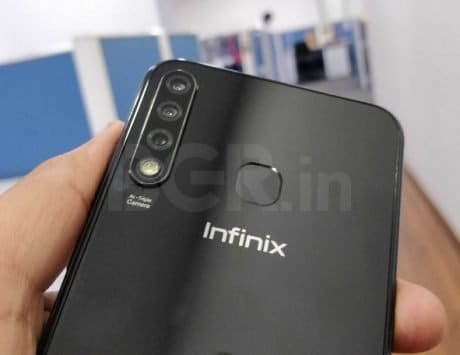 Recent samples of the 10x lossless zoom were also shared by official sources and, suffice to say, it will be one of the most interesting features of the Reno. 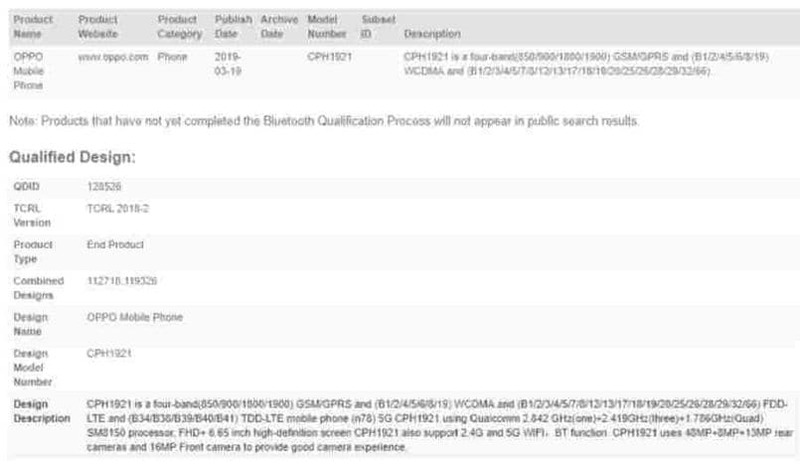 This Bluetooth listing comes after a leak last week revealed as many as six models starting at RMB 4,000. 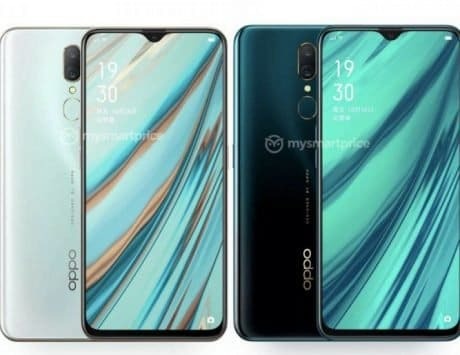 There hasn’t been a shortage on the official front regarding the Oppo Reno. A recent post by Oppo VP, Shen Yiren, revealed that the handset will not feature VOOC 3.0 and no wireless charging. 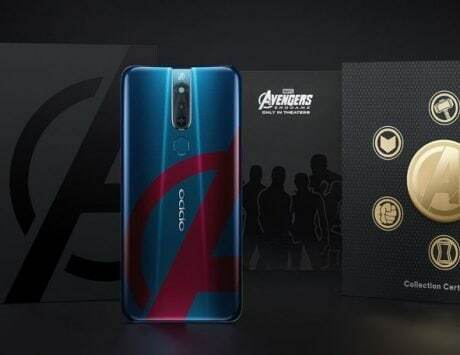 The handsets have still not appeared on TENAA certification agency in China, which when it happens, will finally clear the air surrounding the variants of the Oppo Reno. 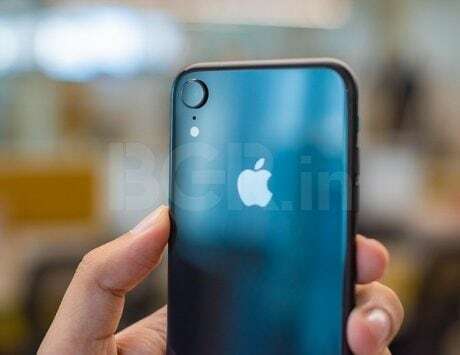 The handset has a very thin bottom bezel measuring 3.5mm which is less than the iPhone XS, and its screen-to-body ratio is 91.3 percent. 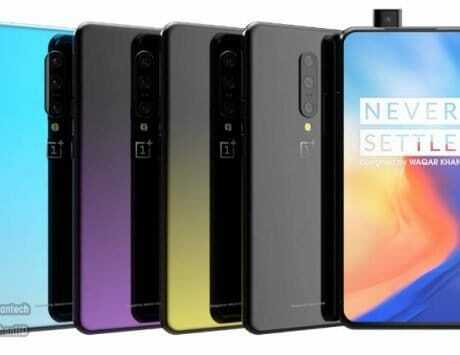 However, the front design of the phone still remains a big mystery. The launch of the series is still some weeks away as it will be revealed on April 10.